Baraka has no plot, no characters, and no dialogue. The film is a series of images from different perspectives – both human and otherwise – from various places and cultures from across the globe. 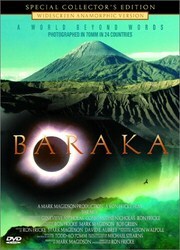 Baraka was shot in 70 mm in 24 countries on six continents. A world beyond words.